Sometime before the New Year the sub-sea cable linking Tiree and Coll was damaged and the island has had to rely on the diesel powered generator for its electricity. Thankfully this arrangement has proved most reliable with an uninterrupted supply during this time. It was recently announced that a decision had been made to bring forward the date for renewal of the cable rather than attempt to effect a repair, as has been done in the past. It was said that SSE are waiting on a weather window to bring a boat round from the east coast of Scotland and then have 3 days of calm weather to carry out the work on the cable. In the latest edition of’ AN Tirisdeach (Tiree’s Newsletter) it was reported that the island’s wind turbine known as ‘Tilley’ has not been able to generate any power since the 20th of December 2013. ‘Tilley’ developed a fault, the damage most likely caused by a storm. 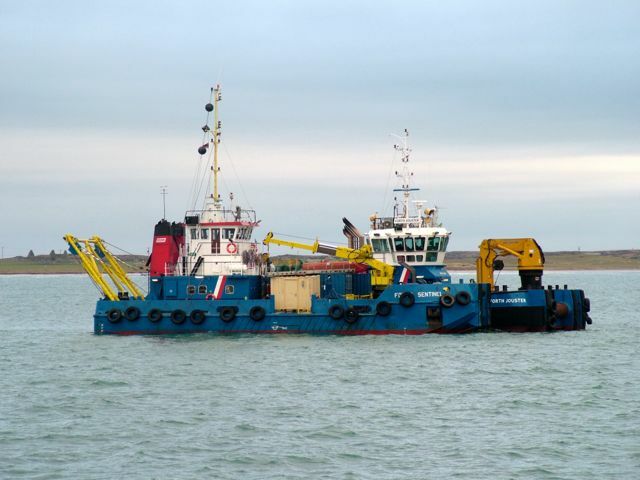 “It has been double trouble for Tilley – as well as having a fault in the generator which has caused the initial breakdown, the sub-sea cable linking us to Coll is also broken at the moment, so once ‘Tilley’ is fixed she will have to be limited from 900kw to 50kw output”. The good news is that Tilley is now turning once again, even although limited in output. 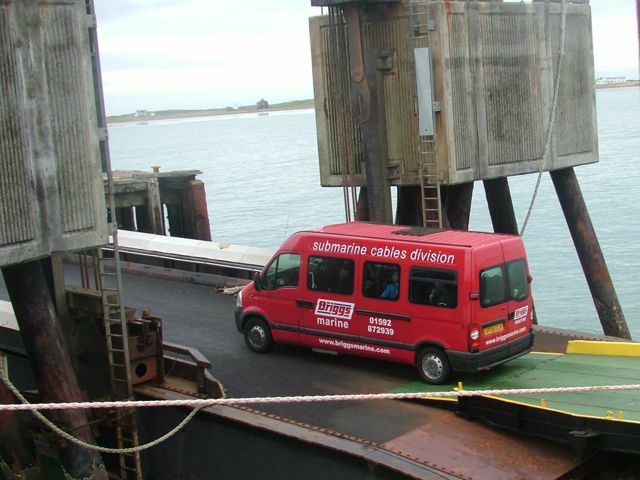 This week various vans have been seen on the island with the wording ‘Briggs Marine – Submarine Cables Division’ on them. At the same time two vessels arrived in Gott Bay before heading for the Gunna Sound. Hopefully, Tiree will be connected to the grid soon and ‘Tilley’ will be able to generate income as well as electricity soon! What is so encouraging that God’s power is unlimited and needs no sub-sea cables, diesel generator or wind turbine. Through faith in Jesus Christ we can know his presence, peace and power in our lives. Likewise we can remain in contact with God through the fellowship of prayer. With God there is no unreliable mobile signal!